A great course for anyone wishing to learn more about the safe use of aromatherapy essential oils for healing and relaxation. This course is aimed at the professional and amateur alike - all those with limited knowledge of growing and using herbs or who would like to expand that knowledge. Learn how to identify and successfully grow dozens of common and uncommon edible herbs. Develop your skills and experience the delights of cooking adventurous new recipes with herbs. 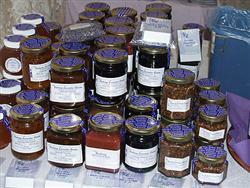 Learn drying and other methods of preserving the flavour (eg. herb oils, salts, vinegars). Eight lessons as follows cover common and less common herbs used for cooking. This is a unique and exceptional course that will raise your knowledge of herbs and opportunities to work with herbs, to a totally new level. Start a herb farm, work in herb production, apply your knowledge to creating new business opportunities in this field. This diploma will give you the the practical as well as theoretical knowledge through lots of practical tasks throughout the course. A very practical course read, propagate, grow, harvest, make lavender products, research, all guided by expert tutors. Enrol today and also get six free eBooks recommended by our horticultural tutors. This is a course for people who want to get really serious about herbs. Those that are perhaps starting a herb business (shop, nursery, farm, product manufacturer), or seeking employment in the herb industry. It provides training for the herb farmer, nurseryman, classic garden designer or enthusiast. This course is designed to be the fastest way to learn the most important things related to using medicinal herbs. At only 20 hours this is different to our other 100 hour courses: it is shorter, the fees are lower and the assessments at the end of each lesson are fully automated. All this helps you to fast track your learning. Lay a foundation for understanding how these amazing plants can be used to compliment our state of health and wellbeing. Herbs have been used for medicines over thousands of years. Some can be very effective if used appropriately, while others have the potential to be dangerous. Being only eight lessons (100 hours), this course cannot hope to make you an 'expert', but it does set you on the right path, teaching you the basics of how to identify and correctly administer herbs for medicinal purposes. The 700 hr course also devotes a considerable amount of time to 'getting to know' the industry, its current state and its future potential areas of opportunity. If you would like to enter this industry but do not know enough to get you going this coursewill give you the confidence and insights to set you on the right path. This course has been operating for years and is designed for people who are involved, or want to become involved in the business of herbs. It covers less horticulture and focused more strongly on herbs than the Certificate in Horticulture (Herbs). This course is more appropriate for the small business operator who not only grows herbs but also harvests and value adds (e.g. perhaps producing herb products). Learn the basics of horticulture first - this broadens your prospects but also ensures greater success in any horticultural enterprise including herbs. Then move on to the study of herbs in the second half of the course. Scented plants add a wonderful perspective to any garden, if selected and used properly. Too many can be overpowering and some can cause allergic reactions in some people. 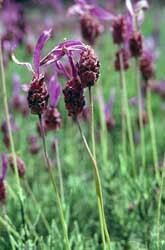 Many others however have aromatherapy affects, soothing the garden visitor, reminding them of pleasant times from the past or just creating a feeling of well-being. This course can provide an intoxicating experience for the enthusiast and equally enhance and advance the career prospects for a garden designer, manager or grower.